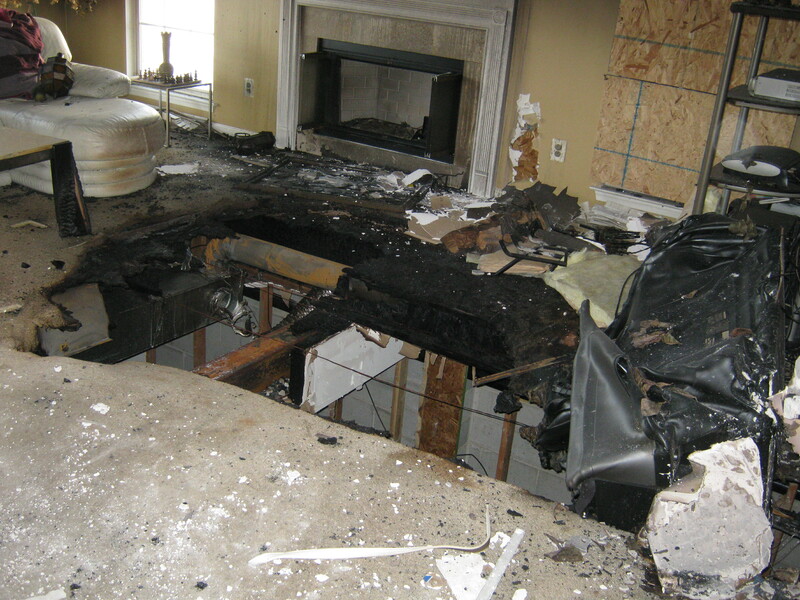 Smoke odor removal after a fire damages your property is one of the hardest things to do. Because the average human nose contains millions of sensory neurons. We perceive odors when thousands of highly sensitive olfactory nerve cells in our nostrils trigger a response deep in the limbic system of the brain. And, once triggered, this is the area of the brain that generates emotional responses and memories. So, exposure to smoke odors cues an immediate and automatic emotional response and memory. And, because our sense of smell has the longest recall of all the senses, we don’t forget a reaction to an aroma once we’ve been exposed to it. But what causes the smell? When we continue to smell smoke after the fire is out, what we’re really noticing are minuscule particles of incomplete combustion (PIC) and volatile organic compounds (VOC). The larger, visible particles we call “soot.” But some of the odor-causing smaller PIC’s are less than ten microns in diameter (a micron is 1/1,000 the thickness of a dime). The PIC’s and VOC’s become airborne during the fire. And, once airborne, we inhale these very small particles into the nose and lungs triggering a response. But the particles also get in and on anything and everything. What that means is, the PIC’s causing the odors infiltrate all areas of your home or business because they hide in the cavities behind walls or underneath floors. If not professionally treated, changes in humidity and barometric pressure liberate the particles. 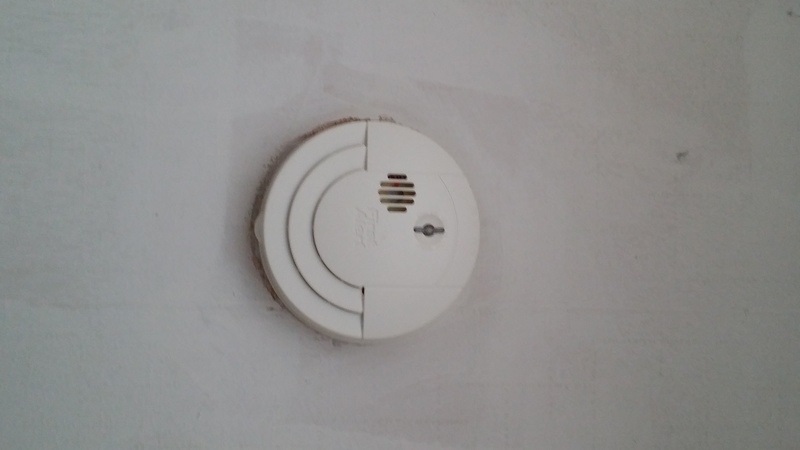 This causes a smell of smoke months after the fire is out. But what’s in the soot and smoke? Besides carbon particles, lingering smoke odors after a fire indicate the presence of variety of harmful substances. What’s in the particles creating the odor depends on what was burned. Wood from house trim and framing cause a “camp fire” smell. 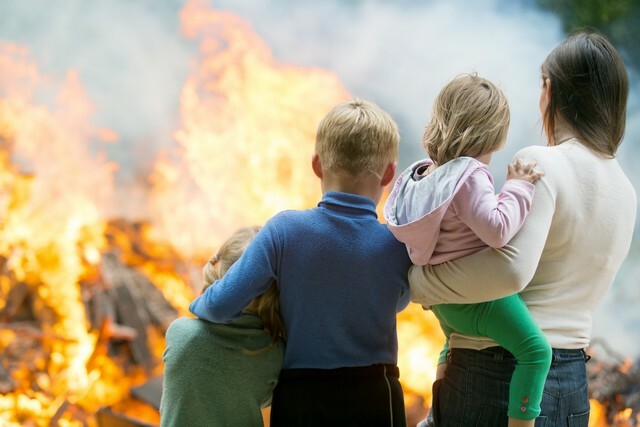 Gases from wood smoke causing a “camp fire” smell include acetic acid, benzene, carbon monoxide (CO), formaldehyde, formic acid, heavy metals, nitrogen-oxides (NO2), phenols, sulfur dioxide (SO2). Protein odors are the result of burning meat such as a steak, or burning animal fat. And, the greasy mess from a cooking fire is one of the hardest odors to remove. What’s worse are chemicals liberated from burned plastics and fabrics. But what makes these smells so hard to remove? 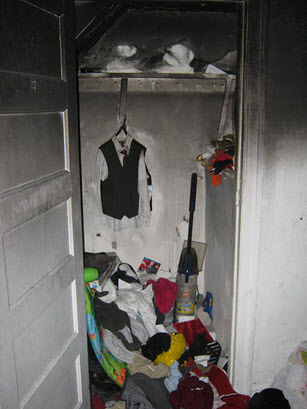 Several factors influence the severity and level of difficulty in smoke odor removal. Our IICRC trained professionals apply the science of smoke odor removal in four steps. • First, we consider the size of the fire. 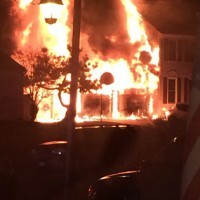 The larger the fire, the more materials have been burned, and the more smoke there is. • Second, we assess the length of exposure. The longer an area is exposed to smoke and soot, the more deeply embedded the smoke odor is in all porous materials. • Third, we evaluate the size of the area affected. The smaller the room, the more intense and concentrated the smoke odor is. • Fourth, we identify the type of materials that burned. Different materials leave different odors behind. A wood fire smells different than a protein fire or a fire that affected mostly plastic materials. 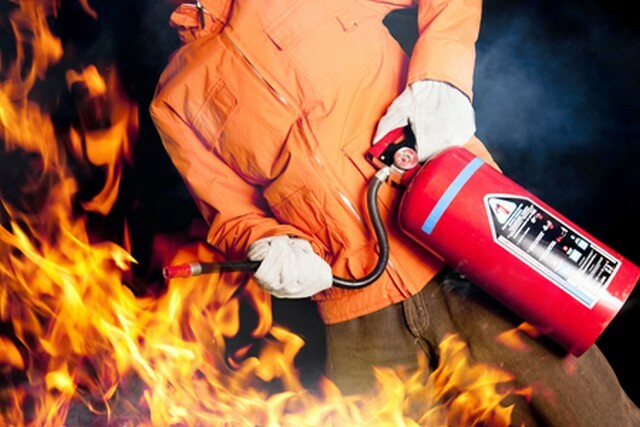 The type of burned materials influence the type of products we use to remove the smoke odor. 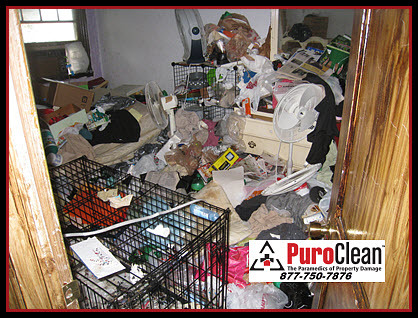 Complete smoke odor removal is time-consuming and requires multiple steps. The first and most important step in smoke odor removal is removing the source of the odors. This means removing all charred and burnt items like cabinets, furniture, drywall, non-salvageable contents. 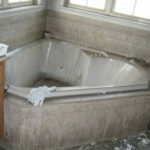 This step also includes detailed cleaning of all salvaged items and materials with appropriate cleaning products. Next, we clean the duct system in the home or business. Because smoke, soot, and dust carry the odors and the memory from a fire, and because these particulates remain inside the duct system, cleaning the HVAC system early in the restoration process keeps it from re-contaminating cleaned areas. Since the VOC’s and PIC’s creating the smoke odor remain airborne, the next task is removing them from the air. 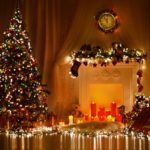 We use a variety of specialized techniques to accomplish the task of smoke odor removal. Regardless of the technique used, they all share a common goal — the complete removal of offensive smoke odor. 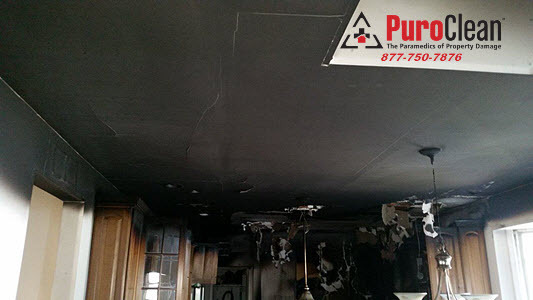 Our professional fire and smoke damage restoration technicians always use a HEPA (High Efficiency Particulate Arrestor) Air Scrubber. And, we operate this equipment from beginning to end of the restoration activities. The units are very effective at removing 99.97% of particulates from the air if they’re 0.3 microns and larger in size . Removing these airborne particulates removes additional source materials for odors. Fogging uses a petroleum-based deodorizer discharged through a thermal fogging unit. The advantage of thermals fogging is that it infiltrates every inch of the affected areas. The deodorizer fills the affected area and pushes its way into cavities behind walls and floors. Thermal fogging uses the science of fragrance modification to counteract odors for permanent odor neutralization. Scientists first discovered the hydroxyl radical in 1963. It’s often called the “detergent” of the troposphere because it reacts with many pollutants and helps destroy them. It also helps eliminate some greenhouse gases like methane and ozone. 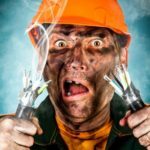 The main benefit of using a hydroxyl generator for smoke and fire damage restoration is that it is safe to use in occupied areas for deodorization purposes. Because we can run it the entire length of the job, we usually install hydroxyl generators as one of the first pieces of equipment on the job during fire and smoke damage restoration. Vapor Modification uses an aromatic compound vaporized from a sealed plastic container. The compound is dispersed into the air with a fan or blower. The mineral oils used in this process are non-toxic, non-oily, non-flammable, and non-explosive. The deodorizer penetrates affected porous contents like upholstery and drapery. Like thermal fogging, Vapor Modification is a fragrance modification technique and is considered a permanent smoke odor neutralization method. 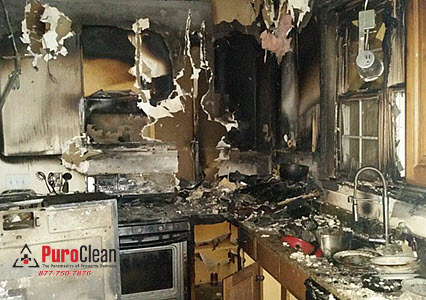 One of the most popular and familiar processes we use to remove airborne smoke odor molecules, including hard-to-neutralize protein smoke from cooking fires is ozone generation. Ozone is a powerful oxidizer. It neutralizes odor-causing molecules by releasing additional oxygen (O) into the air. While ozone generation is an effective odor remover, it’s not an “air purifier.” But, we can only use it when people, pets, and plants aren’t present. Usually we use ozone generation in a controlled environment, like an ozone chamber, where we expose smelly contents to ozone gas for 24 to 48 hours.